Well, now is the time to learn what you really need to know to drastically increase velocity, gain pin-point control, throw nasty pitches and greatly improve your mental focus. Our four disc series has over 5 1/2 hours of instruction. It is loaded with effective yet easy-to-understand instruction that is sure to take your game to the next level! If you have experienced any of the following problems we are confident will help you! You want to throw faster but you don’t know how. Your curve won’t break like you know it should. You continue hitting weak bloopers, grounders or pop ups. You are confused about which coach or “expert” to listen to. As a coach or parent you don’t understand how to help solve your athlete(s) mechanical problems or mental hang-ups. You don’t know the right exercises and drills to work on the most. Develop a little known strategy that will put 50 to 100 points on your batting average immediately! Did you know that a right-handed pitcher is the most competitive position in all of baseball? What are you doing differently this year to separate yourself from the rest of the competition? Let us help you get the edge you need. Learn the strategies and techniques that will not only add more movement to each pitch, but the strategies that will keep your arm healthy for years to come. We are confident this series will help you stay a step ahead of your competition as we’ve already helped 10’s of thousands of others already! Just like pitching, hitting a baseball consistently well can be technical. You can’t just take a lot of hacks in the cage and hope you will “figure it out”. No way! Let me save you some serious pain and suffering by simplifying your mechanics for you. Below you’ll find a couple clips from disk 3. We spend 90 minutes breaking down all aspects of hitting mechanics that include common problems and incorrect coaching philosophies. In the drills section of our training you’ll be equipped with simple drills that will help you increase bat speed, hit with more consistency, and crush the ball. Each year guys are getting quicker and stronger. There are so many great athletes around that it seems nearly impossible to stand out in a crowd. There is one area of baseball, however, that is still very underdeveloped. The mental game of baseball. 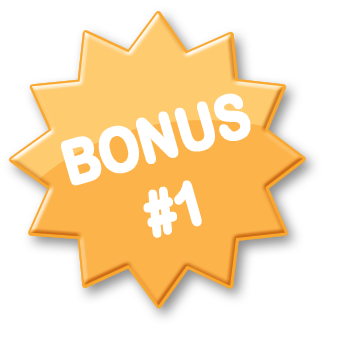 In disk 4 our advisory board members will instruct you how to win the game before you play it. Understanding and applying mental strategies requires a great deal of practice just as pitching and hitting do. If you get down on yourself often or go through too many slumps, we can help! Our two certified sports psychologists will teach you how to focus and gain the mental edge you need to succeed day after day. How to deceive hitters: perceived pitching velocity? Coaches: How to recognize and correct most mechanical flaws and much more! 3 Keys to your overall pitching success! An excellent in-season throwing program and much more! Hitting standards that all MLB hitters use today and much more! Lead your team to success and SO MUCH MORE! while you wait for your 4 disc DVD Series to arrive in the mail! These free products are worth over $50! Learn seven of the most effective pitches used by Major League pitchers today. Pitches include Four-Seam and Two-Seam Fastballs, Curveball, Cut-Fastball, Slider, Split-Finger, Circle Change. Not only will you learn to grip and release each pitch effectively; you will understand what each pitch is designed to do. With “the hitters perspective” you will also step into the mind of a hitter and understand how they think. If you’ve ever wondered which pitch to throw, when to throw it and why you should throw it in any given scenario; you will learn! With color photos throughout, it’s quite simply the most complete and up-to-date pitching grips ebook available! The insight you will gain from this ebook is nowhere to be found on the internet or any other book on pitching. A strong core is critical for generating the power necessary to become an explosive and controlled pitcher. A strong core also allows you to reap the benefits of maintaining proper pitching mechanics and finish the game stronger than you started. The easy answer is: Your core is the hub that connects your entire body’s kinetic chain. So, in order to transfer energy from the ground to your arm, that energy needs to transfer through your core; there is no way around it. Who wouldn’t want to increase their pitching velocity and throw more strikes to dominate on the mound? Learn these valuable pitching tips to make it to the next level. I have taken the best practices from hundreds of baseball camps, instructional leagues, major league ball players and pitching coaches and condensed that information in this book, focusing on each phase of pitching mechanics. Order now and start improving your game immediately! There is no risk, nothing to lose and everything to gain! If you knew for sure that the answer to improving your pitching and hitting mechanics and mental game was in this 4 Disc DVD Series I know you’d want to have it. This is why we want you to have a chance to watch the DVD before you decide to keep it. Will the valuable information and training in The Pitching Academy’s DVD Series and bonus materials really help you? They have worked for thousands of other athletes. 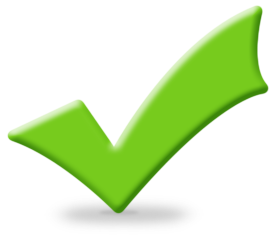 We guarantee you’ll be satisfied. 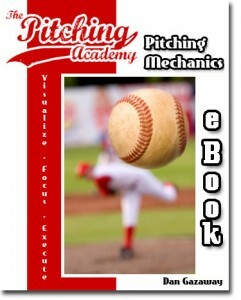 Just click to order The Pitching Academy’s DVD Series. We can help you with your training. But you’ve got to take the first step. I have been very impressed with Nate and Dan, the guys giving the instruction in these videos. They have a great interest in helping young players to reach their potential. These products have been very helpful in helping me to help my sons learn correct mechanics. Both of my sons ended the last season wishing there were still more games because of the progress they were making. We saw immediate increases in velocity and control with the pitching tips. Both boys also enter the batter box with a ton more confidence with the batting helps. I have done a lot of research and have been 100% confident that the information these guys give is in line with the best research currently available and is backed up by the examples of the best in the game. I would strongly recommend this serious to anyone who wants to give their player more velocity, control, and most of all, confidence. Whether you’re looking for a complete approach to pitching and hitting, or just some answers to “How to..” this inexpensive program is the best. Nate and Dan have put together this comprehensive, instructional program on hitting and pitching the correct way, the way the successful pros do it. That is the big difference here, since a plethora of instructional videos on the market are demonstrating so many incorrect mechanics and methods. Those methods can hinder success at the plate or even damage a young pitcher’s arm. The Pitching Academy viewpoint of doing things the way the MLB players do it accounts for the success of this Series.. They are easy to follow and fun to put into practice. Plus, Nate and Dan will answer any questions you might have. They’re good guys who care about helping players get to the top of their game. After searching all over the Internet and locally in my area I could not find the right baseball training that was easy to understand and cost effective for me as a parent. I was looking for something that I could do at home with my son without the high cost of individual lessons. Then I found The Pitching Academy DVD series. I was a little skeptical of buying yet another DVD series online but after digging into their site I could tell this DVD series was different. I am glad I made this purchase!This DVD series is great! Dan and Nate do a fantastic job of breaking down the complexities of pitching and hitting mechanics in such a way that a parent or player can easily understand them and duplicate them. Nate and Dan teach mechanics by showing you what MLB players are doing so you can be confident in applying what you learn. 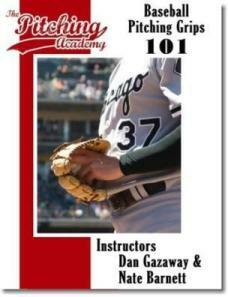 This DVD series has not only helped my son but helped me become a better teacher of baseball. I help coach a 12U travel team and it is my go to DVD when teaching pitching and hitting to our players. 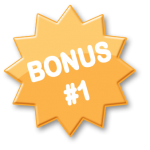 What also makes this DVD series different from others is that the content goes beyond the DVDs. Nate and Dan provide email updates on hitting and pitching topics that keep you informed and provide yet another way to help your son increase his baseball IQ (and yours). Nate and Dan do not simply sell you a DVD and then forget about you. They love to hear from parents and players and have always been there to respond to any questions I have had. I feel that I have built a relationship with Nate and Dan and the benefits go well beyond the DVD series. The internet is a great thing but the amount of incorrect information that you can find is overwhelming. 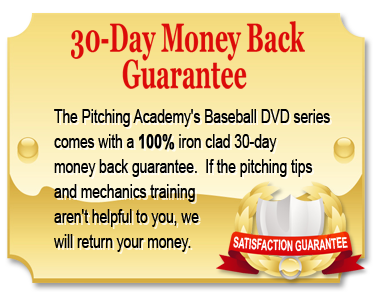 Do yourself and your son a favor, purchase this DVD series and sign-up for communications from the Pitching Academy. You will not regret it! Dan and Nate have been instrumental in helping my sons improve in many aspects of the game of baseball. 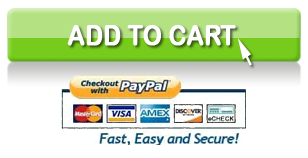 This DVD series can be used to view and re-view. It teaches basics that even younger kids can understand. My oldest son worked with Dan on his pitching mechanics and helped him become a D1 baseball pitcher. My 2nd oldest son has worked with Dan also and currently is a starting pitcher on his High School team. Nate’s ability to simplify hitting drills and explain technique helped both my sons raise their batting average. Dan and Nate combine their talents on this DVD series that makes it a sure “hit” for anyone interested in improving their baseball game. I have been teaching younger pitchers and after studying The Pitching Academy’s 4-disc Series, I have been able to work better with my kids. Nate and Dan’s emphasis on the mental aspects of pitching along with their injury prevention advice complement the mechanical side of teaching young pitchers very well. I’d say this series is a must for Youth baseball coaches and any parent who wants to see his own child grow in pitching. I have been using the Pitching Academy’s system for the last several years now. It has been a great tool in teaching my son the correct mechanics of pitching. As a coach, the information in these DVDs has been invaluable in helping teach my team proper pitching and hitting mechanics. I highly recommend this to anyone who wants to take their game to the next level. If you are a parent and are looking to help your child strengthen their confidence on the mound, you’ve got to buy this DVD series! Dan’s experience coupled with his ability to teach clearly will be a benefit to anyone looking to take their pitching to the next level. Thank you Pitching Academy! Every Little League, PONY League, Babe Ruth League, Cal Ripkin League and any other league, should make this DVD set mandatory for all coaches to watch. The explanations are spot on, as are the skills Nate and Dan are teaching. I discovered The Pitching Academy on Youtube, to help my players throw a curve ball. I wanted something they could watch, after I explained it to them. 95% of all curve ball ‘teaching’ have the player, curl their wrist and/or snap their wrist, which can be detrimental to pitchers arms. Dan taught it, the way I learned it and taught it, but sometimes the players need to see it and hear it from a different source. The amount of times I heard coaches shout, “Squash the bug” and they players squashed the bug, but everything else was wrong. And the coaches couldn’t see it. Or more bad advise about how to throw harder. Get the DVD!!!!!! I worked with Dan as I was trying to pitch at the college level. I would work with Dan every summer to get my mechanics fine tuned and ready for the next year (I would also go to him during the year every once in a while when I got out of sync). He helped me be at the top of my game. He helped me understand what things I did well and what I needed to improve. I would recommend him to anybody that wanted to improve their game and mechanics and protect their arm. I only wish that the season started right after the summer and I didn’t have to wait for the spring. This DVD series gives a great guide to coaches and players. My son was about 11 when he began taking pitching lessons from Dan at the Pitching Academy. While he had a good arm he lacked consistency. It took one lesson for Dan to teach him the mechanics that helped him have a successful high school pitching career. Dan’s approach was simple and made sense from a physical standpoint. These DVDs helped us to stay on track and served as an excellent way to reinforce the skills learned at private workouts with Dan. I recommend this DVD series to anyone interested in developing there physical and mental approach to playing baseball. This DVD series is a must own for any developing pitcher. Whether you’re the coach or the student, YOU WILL BENEFIT FROM THIS SERIES! My sons pitching has improved leaps and bounds from the knowledge and instructions found in this series. From mechanics to exercises/workouts and everything in between; its all here. A great investment for certain, I would recommend it to anyone. This DVD Series is the awesome!! My son has used these and has become a fantastic pitcher! The principles taught here are spot on to what every great pitcher needs to know!! !